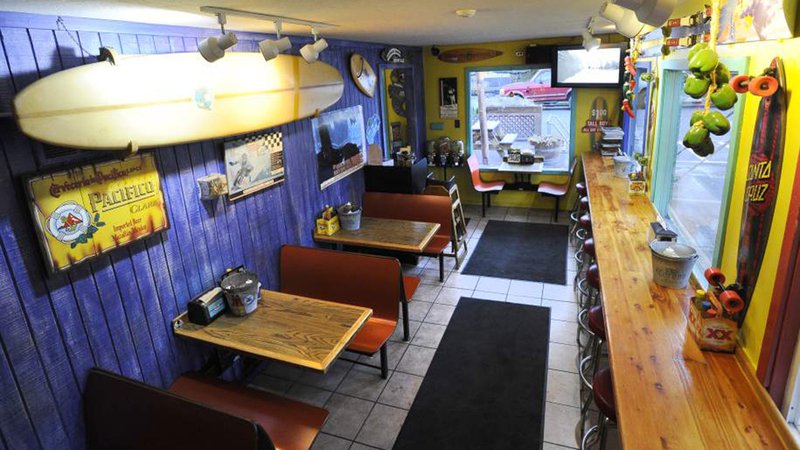 Longboard Louie’s is one of those joints you tend to find in ski towns, places that have been in business in a prime location for many years simply because they’ve been awesome and dependable for a long time. Longboard Louie’s is a place that has become a classic in its original westside location on Galveston Ave, and has grown to include an eastside location off Highway 20. They offer “healthy Mexican food, Mayan Hawaiian style”, which means all of your favorite authentic Mexican dishes with an emphasis on fresh foods, large portions for an affordable price, prepared in a clean environment. Diners enjoy their meals in a casual atmosphere, and lots of people do take-out. There are choices for everyone, including vegan and vegetarian options. Longboard Louie’s is a good neighbor, a place that gives back, and they frequently host nights during which they donate a portion of their proceeds to a local non-profit. The westside location has a dog-friendly seasonal patio.